When I started this blog, I expressed an interest in not only starting a bakery one day, but to have it connected to a social cause – I just do not know the best way to do this. To find my path, I explained that I need this blog to be interactive – I share some information about food-related social enterprises to get an idea on how these two concepts are already related, and you add your own ideas to the mix. As promised, I would like to feature food related social enterprises that I get inspiration from. I thought that for my first feature, I should select a social enterprise that does work all around the world. The Community Food Enterprise promotes locally owned food businesses as they believe that “locally owned food businesses can help more people access healthy, sustainably grown food and strengthen local economies by fostering income, jobs, and resources within the community.” To raise awareness, Community Food Enterprise selects 24 different food related social enterprises from all over the world, and then develops a report to demonstrate how these organizations can provide tools for economic development and anti-poverty. You can find more information at http://www.communityfoodenterprise.org. I really like baking. Obviously. Sauteing, roasting, frying – they’re all things that I consider part of my, you know, cooking repertoire. But grilling? I have left that to the meat eaters and fire lovers in the past. Sure, I’ll pull out my ol’ George Foreman once in a while to weave a new flavor into my Boca burger, but, let’s be honest, I’m not into the real deal. 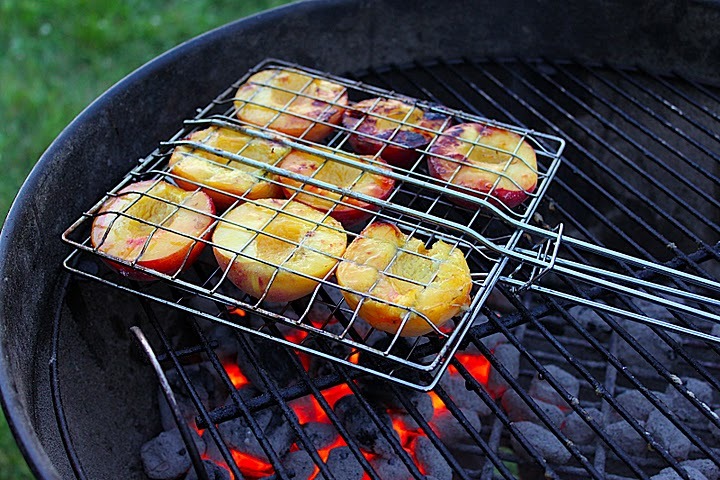 That is, of course until, I saw this delicious sounding recipe for grilled peaches. What was I to do? A grilled dessert. A grilled not-so-bad-for-you dessert. 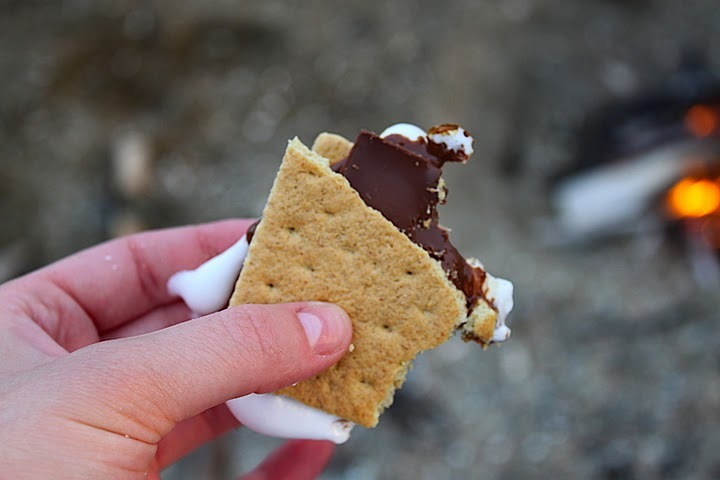 A grilled dessert that would have been a perfect addition to our ongoing 4th of July festivities…where we already had a grill! I had to try it. 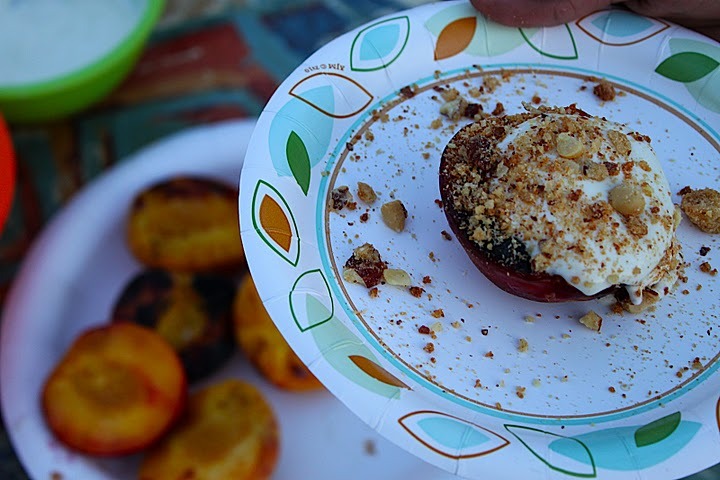 With the help of some fire savvy friends, we were able to successfully grill peaches with sugar on top (delightful burnt caramel flavors ensued), accompanied by a lovely Greek yogurt maple topping, with some crushed biscotti on top. Heaven on a grill, one might say. Dip all of the peaches, cut side down into the sugar, until they are thoroughly coated on the cut side. Heat a grill with a single layer of charcoal. 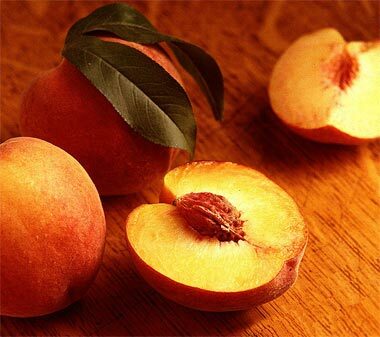 When the coals are hot, brush the grill with a little oil to make sure the peaches don’t stick. Place the peaches, cut side down, on the grill and cook for a few minutes, until they’re slightly charred. Mix together the yogurt and maple syrup. Adjust syrup to taste. Serve peaches with maple yogurt and sprinkle with crumbled biscotti. 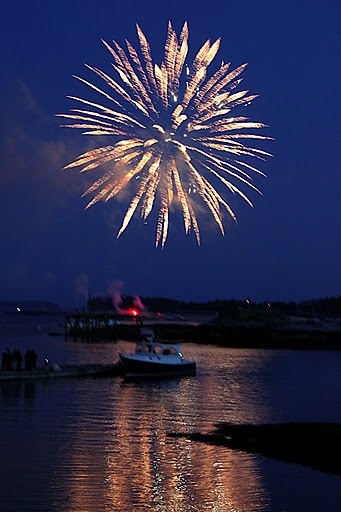 I have many Fourth of July recipes to share with you! …a week late. Let’s just call them July recipes, shall we? 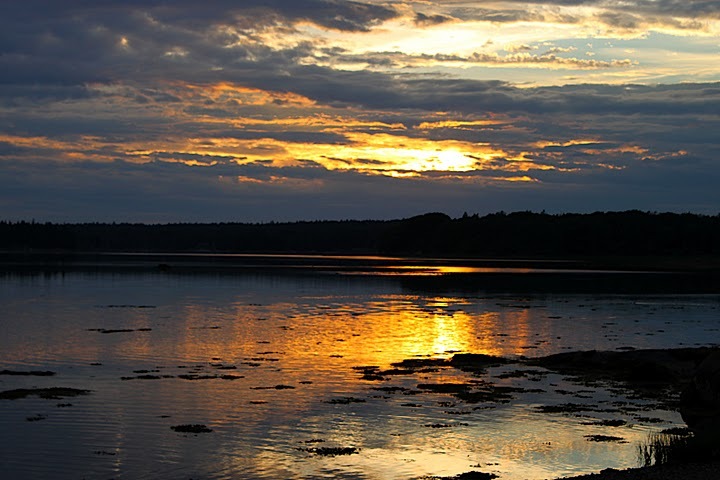 I was in gorgeous, yet atypically warm, Deer Isle, Maine for the festivities. No cell phone signal, no internet, no locked doors. Simply glorious. The weekend was filled with eating, and kayaking, and cooking, and eating and…well, eating. I really wanted to go berry picking and make a dish that had only local ingredients that we picked ourselves. I wanted to go really local, you see. A true DIY project, if you will. Though strawberry season has come and gone, we were a bit too early for any of the other berries. So, though this dessert has local berries, I was driven to the supermarket to purchase them. Less work, same great taste. 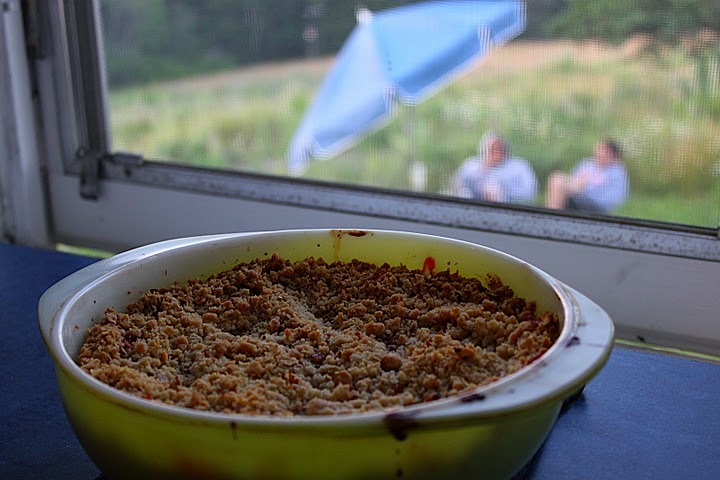 This super simple, but amazingly delicious crumble is a must-try. Plums and raspberries are the two fruits that are used in the recipe, but I threw in a peach and blueberries too. It’s the topping, though, that’s amazing. That Ina really knows what she’s talking about. 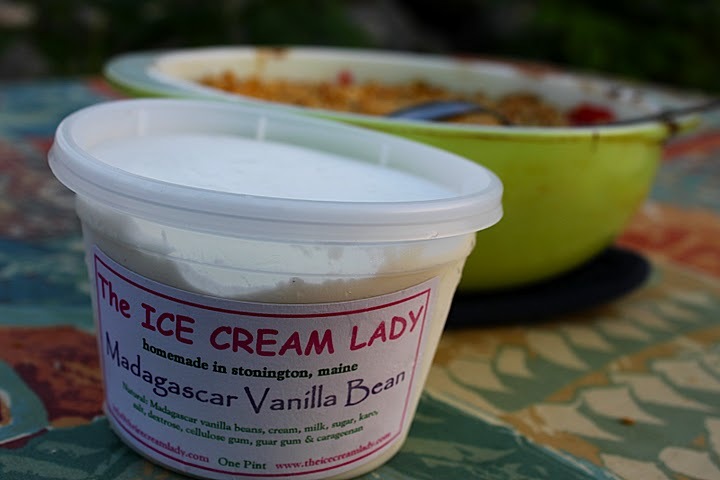 Pair it with a locally made ice cream like we did (unreal vanilla ice cream…mmmm) find a spot on the picnic table (spray yourself with some powerful bug spray) and you have yourself one incredible July night. Yum. 2. Lightly spray a 2 quart baking dish with cooking spray. 3. In the baking dish, combine sliced plums, peaches, 1/3 cup of granulated sugar, ¼ cup flour, and lemon juice. Stir to toss well. 4. 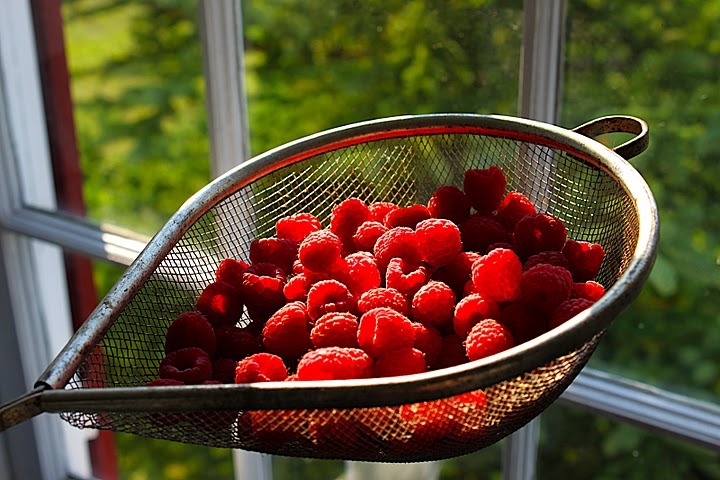 Add berries and toss lightly, being careful not to break them. 5. 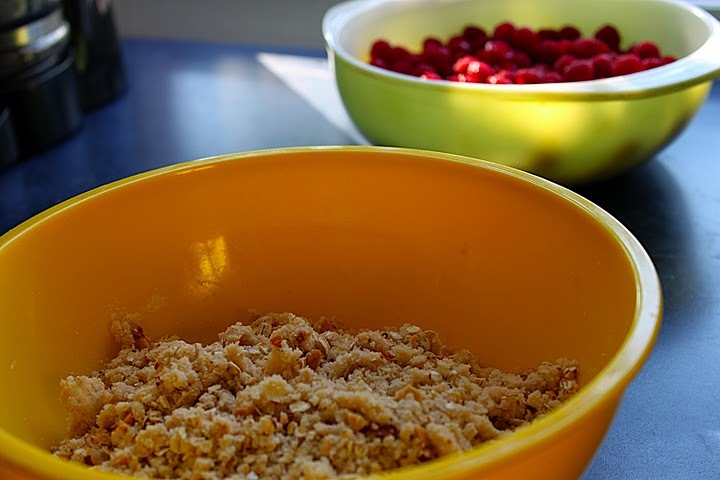 In a separate bowl, combine remaining 1 cup of flour, 1/3 cup granulated sugar, brown sugar, and salt. Stir to combine. Add butter and rub with fingers until it resembles a mealy texture. Add oats and almonds and stir until large crumbles form. 6. Spread crumble mixture over fruit and pat down to make sure that the fruit is covered. Bake for 40-45 minutes, until the fruit is bubbling and the topping is browned. Serve warm, room temperature or cold.